When you see a beautiful chubby-cheeked baby such as our new royal heir, what do you think? “Aw”? “Coo”? Maybe, “Ugh. Nappies! Sleepless nights!” Well, if you’re the grandparent, and especially if you don’t have the Crown Estate to fall back on, what you should be thinking is: “It’s high time we got Georgie a pension”. 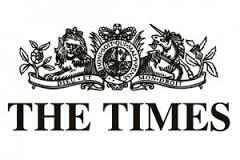 Penguin Tax Planning featured int he times this weekend, commenting on how you can save for your grandchildren.